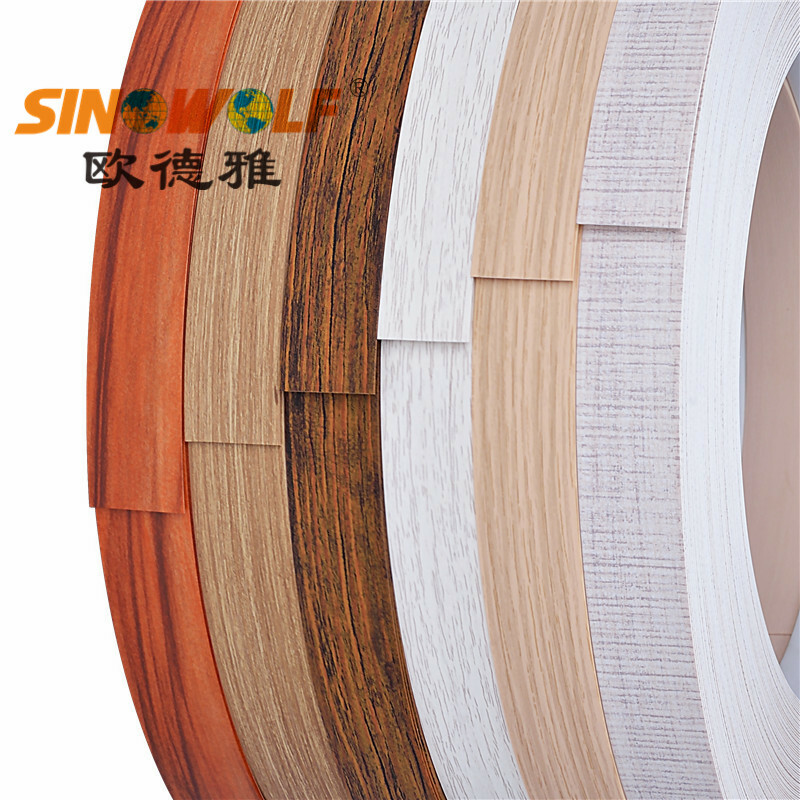 Product categories of PVC Edge Banding Series, we are specialized manufacturers from China, Pvc Edge Banding, Pvc Solid Color Edge Banding suppliers/factory, wholesale high-quality products of Pvc Wood Grain Edge Banding R & D and manufacturing, we have the perfect after-sales service and technical support. Look forward to your cooperation! 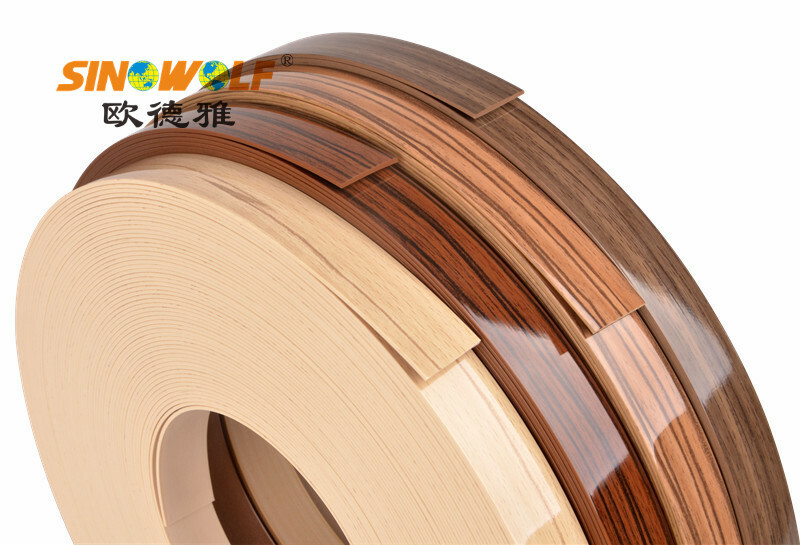 PVC Edge Banding Series include that: Solid color Pvc Edge Banding, Wood grain PVC Edge Banding, Thin series PVC edge banding, High Gloss Pvc Edge Banding, Matt PVC edge banding and so on. We mainly supply customize color and size as per request. Size ranges 0.4-3.0mm thick and 12-620mm width. We adopt high quality PVC resin, Germany exported ink and UV. Strict quality control system to keep the quality of PVC edge banding.